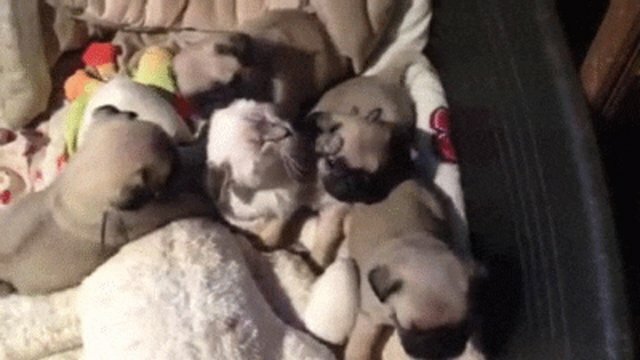 Pug Puppies + Cute Kitten = Adorable Overload! The Internet gods have answered my prayers – and they speak Swiss! 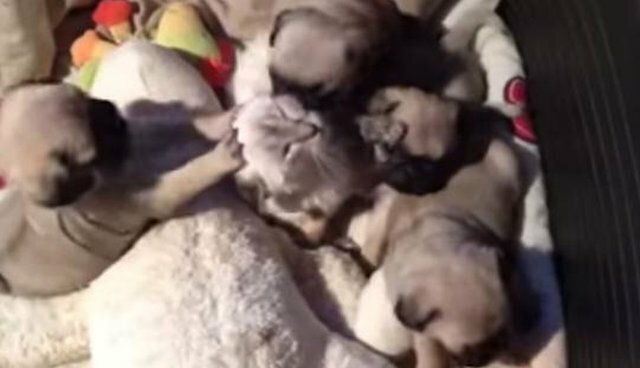 In Switzerland, the four cutest pugs, wearing beaded name necklaces, share a playpen with their kitty bestie, forming a fluffy furball puppy pile. 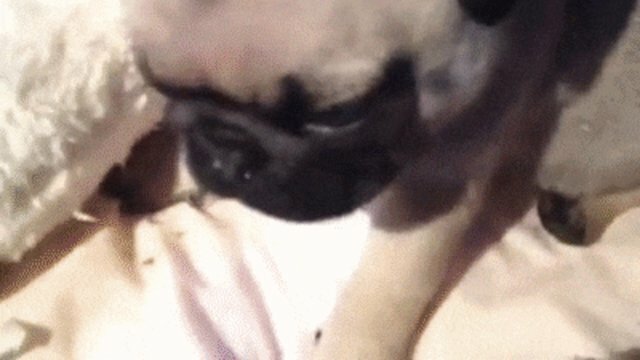 The dogs love all up on their playmate, biting its ears, scratching its neck, and licking its face – hard. 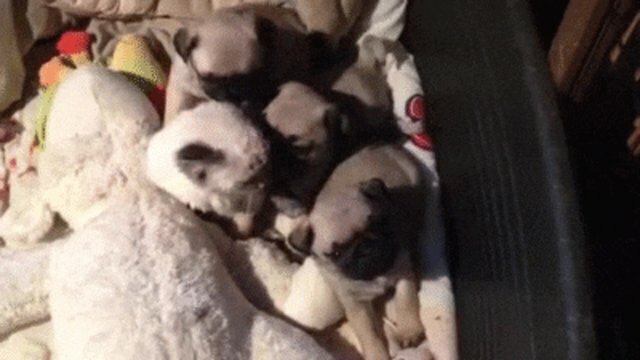 One pup even tries to stake a claim, placing its teeny tiny body between the pussycat's front paws. The kitten accepts its fate without protest and hopefully will become another member of these Swiss siblings. We then move on to the solo portion, where one frisky fido waves to camera and shows off its dance moves. 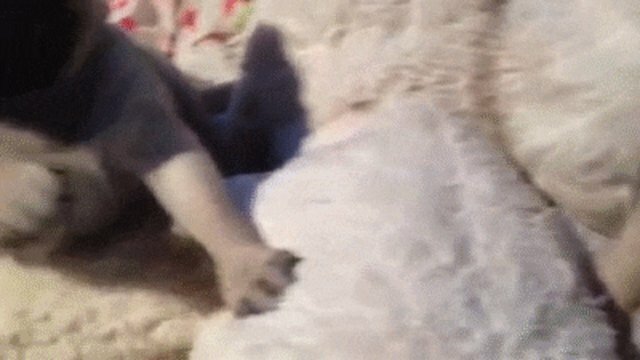 The tail end features the sweetest, tonguiest puppy yawn ever.